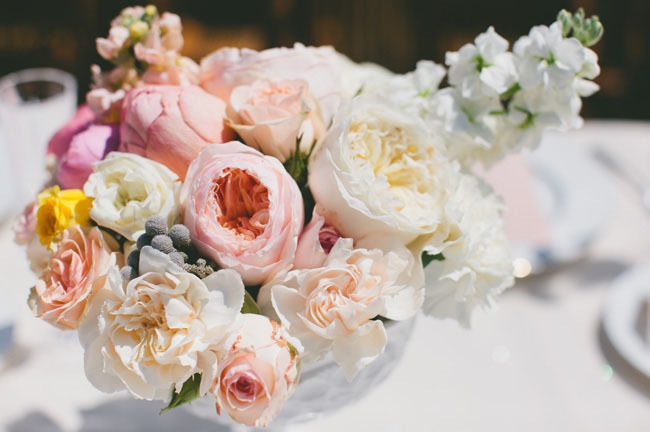 Inspired by Downton Abbey, Jane Austen’s Pride and Prejudice and Charlotte Bronte’s Jane Eyre, we wanted Sugar & Fluff to create an English Garden setting for our backyard wedding. Brian and I not only love the stories that take place in the old English countryside, but were inspired by the most recent movie adaptations as well. Through an array of lush florals and intimate candle lighting, our backyard was transformed into the setting we really loved. 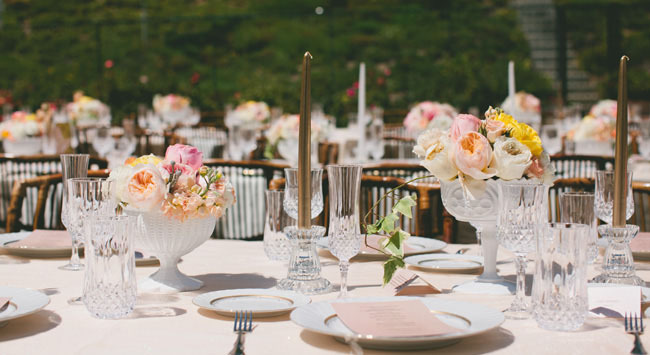 Vignettes of victorian and art deco benches as well as light fixtures surrounded the long tables of distressed chairs, soft, shimmery linens and gold rimmed china with crystal stemware, it was a perfect balance of elegance and rustic. 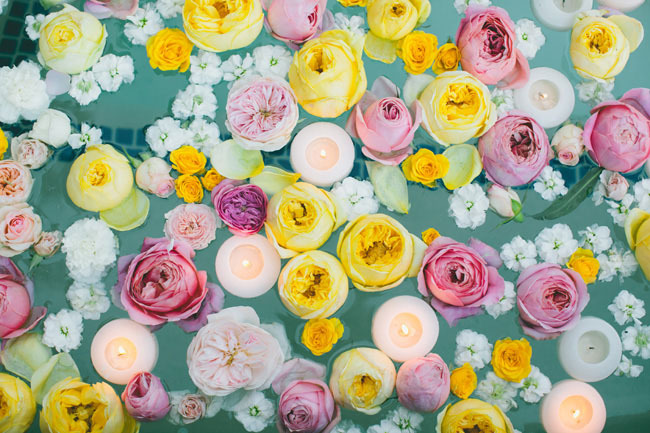 We wanted everything to be organic, intimate and free flowing + through soft and romantic details designed by our wedding artists, I think we accomplished just that! 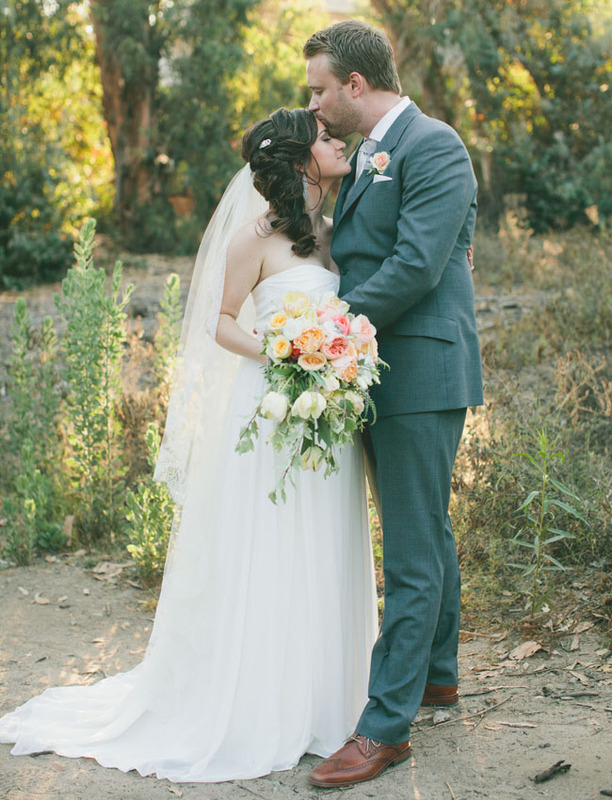 Thanks so much to Richelle Dante Photography for the romantic imagery + congratulations to Amy + Brian! 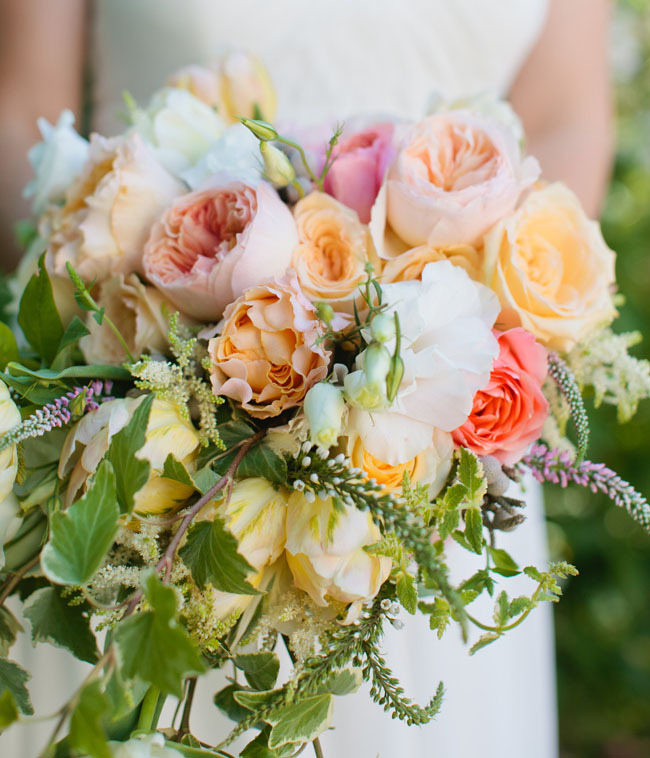 Amy’s gorgeous bouquet was designed by Honey & Poppies. 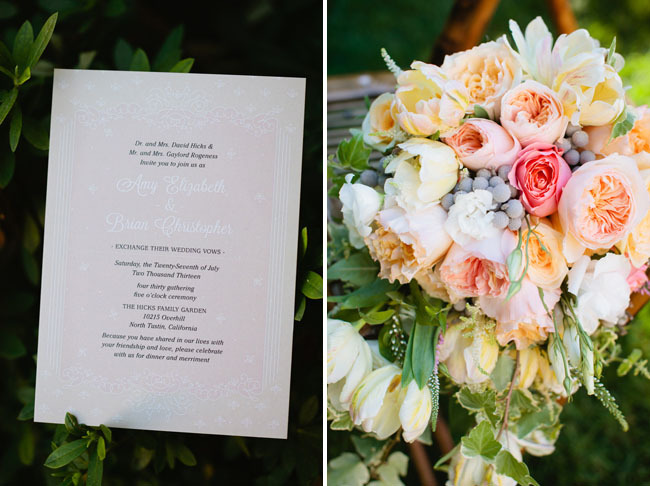 Love the soft, romantic tones + all of the pretty textures! 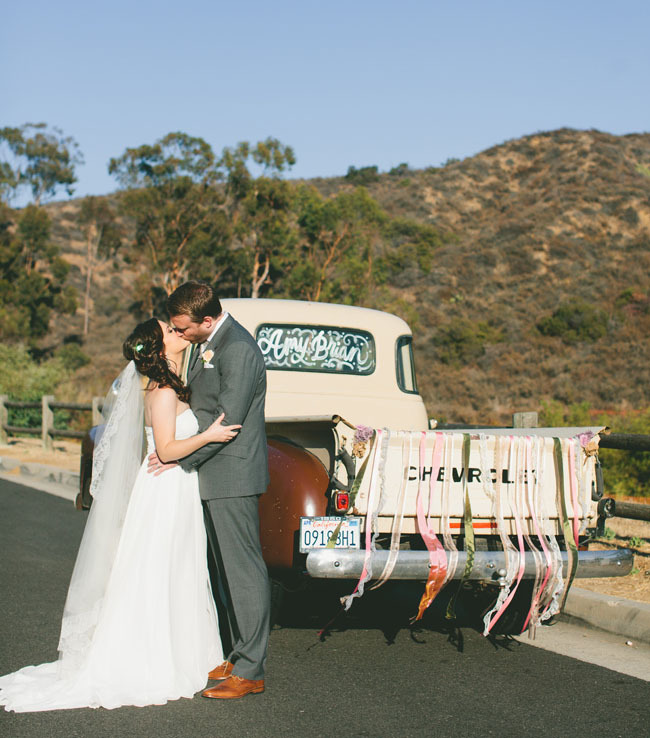 Everything was such a dream come true, but the most magical part of our day was the ceremony. Brian’s best friend married us and it was one of the best decisions we made. The three of us worked together to create a ceremony that was unique to us as a couple and that would resonate with the guests. 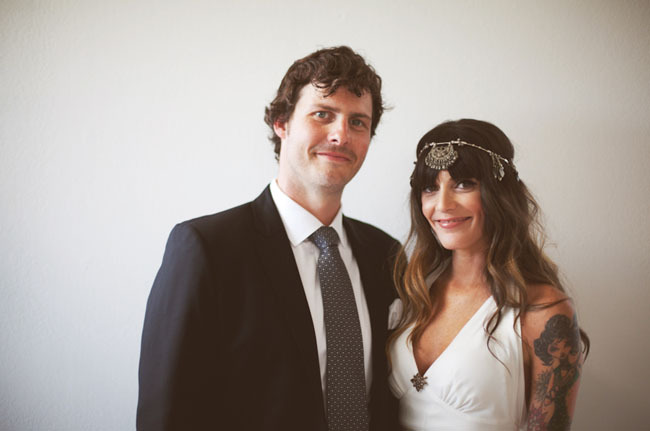 We wanted the ceremony to be about us, but also a reflection of love and commitment in general. 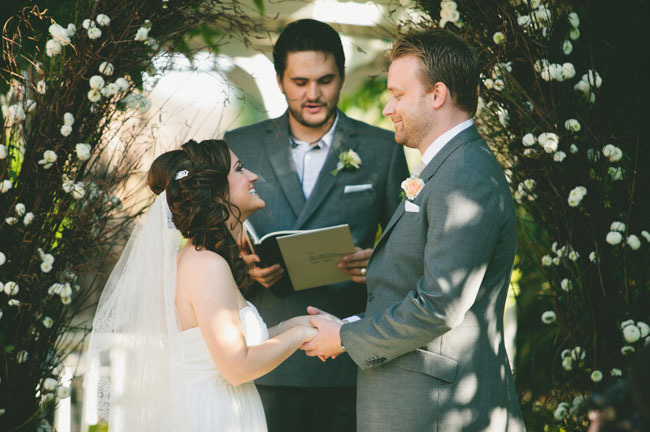 We also wrote our own vows, which was very meaningful. We also did a spin on traditional vows, the whole “I take you to be my husband….” but we chose the wording that we wanted. Our entire ceremony was customized to us and it was so magical to not only help create, but to experience it as the moment of union between the two of us. I can tell you that there was honestly not a dry eye anywhere! 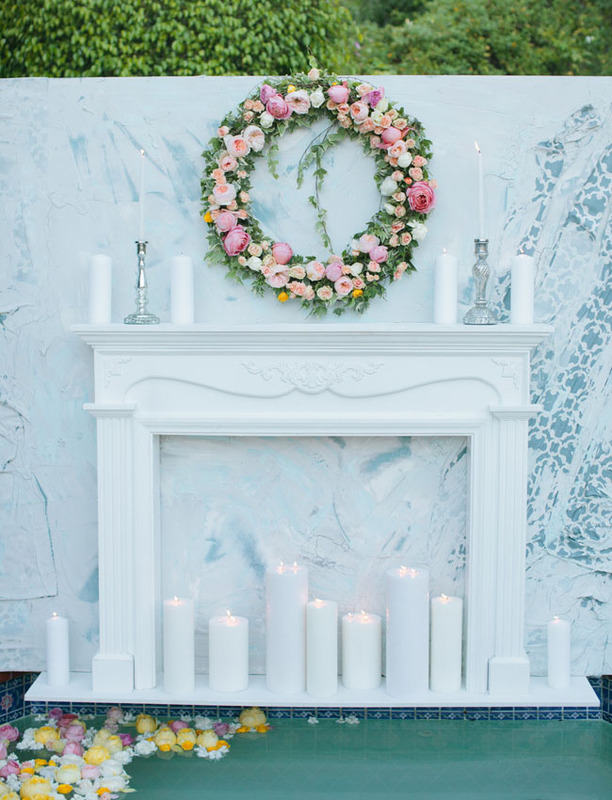 With the help of Discovered Interiors, Sugar & Fluff designed a distressed fireplace façade, adorned with a massive floral wreath and candle-lighting to give the setting a cozy + intimate feel. Follow your heart. Make your day what YOU want it to be. There is so much pressure on a bride now-a-days to have the hippest and coolest wedding, but, you and your fiancé are the most important people on that day. Make it how you want it, not how you think other people want it. That will make your day that much more special and meaningful. Also find vendors, designers, photographers that you get along with and understand exactly how you want your day to feel and to look. 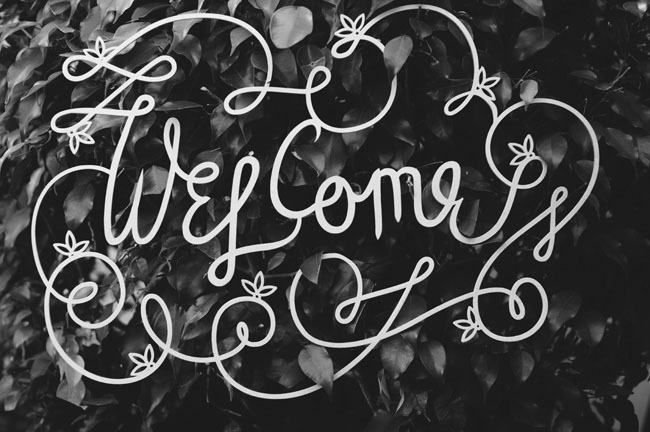 Working with people that totally get your vision will make your day and all the work leading up to it wonderful. 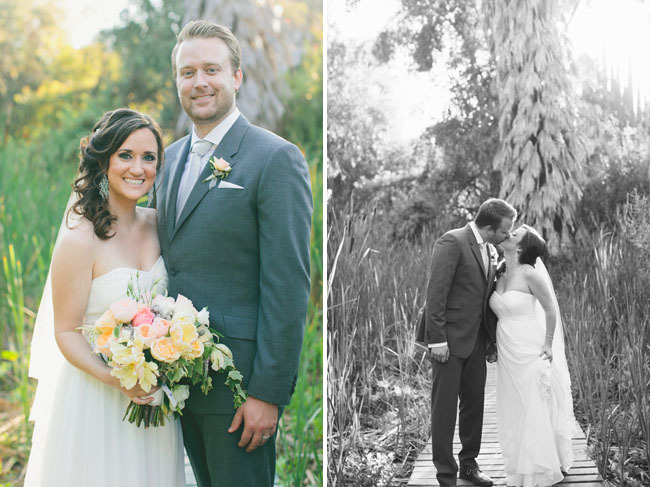 Seamlessly beautiful garden wedding! I like the decors! Beautiful wedding! Loved the colors and the floral details. 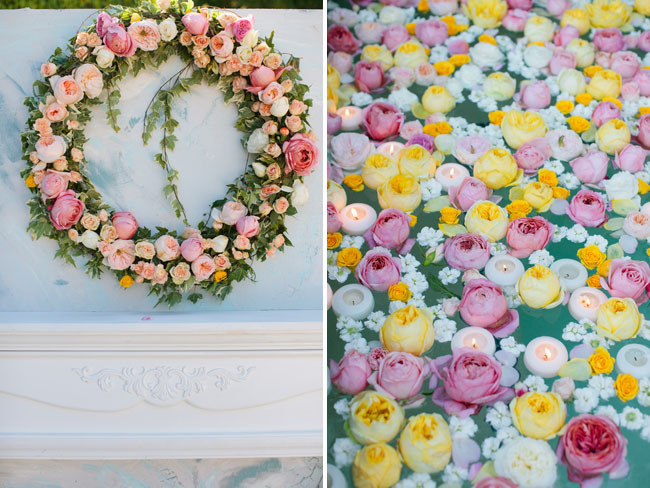 The large floral wreath with pink candles just looks so pretty! Beautiful wedding!! Love the flowers! Amazing pictures! The flowers are absolutely beautiful! 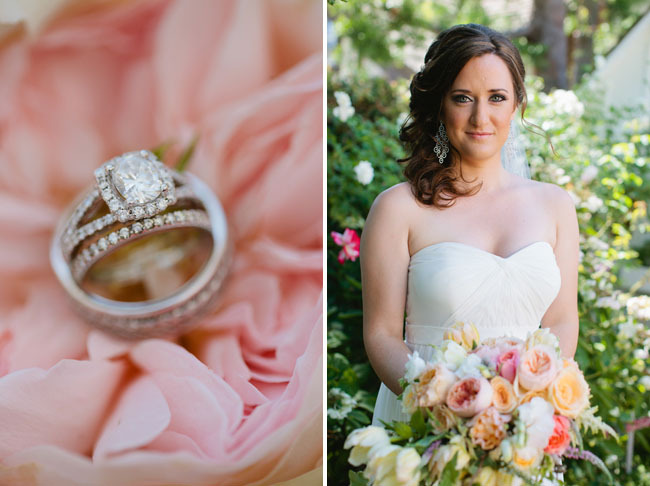 Beautiful Bride, Beautiful Wedding! 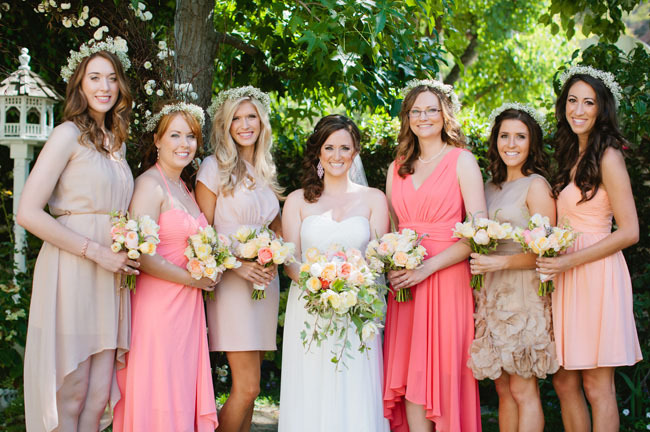 Love the mis-matched bridesmaid dresses! 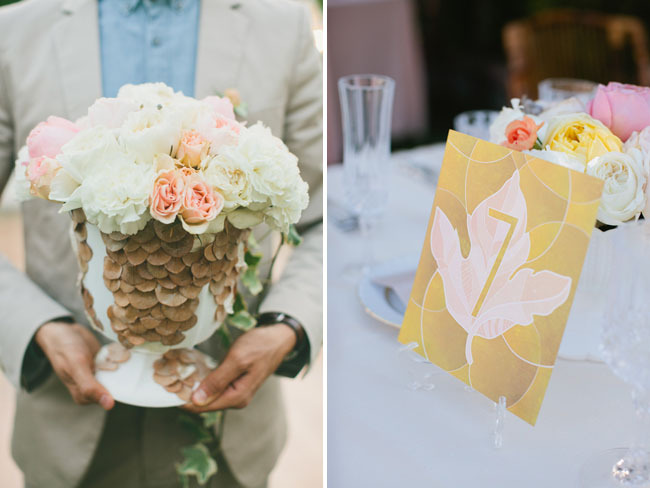 So elegant and romantic, love the theme! 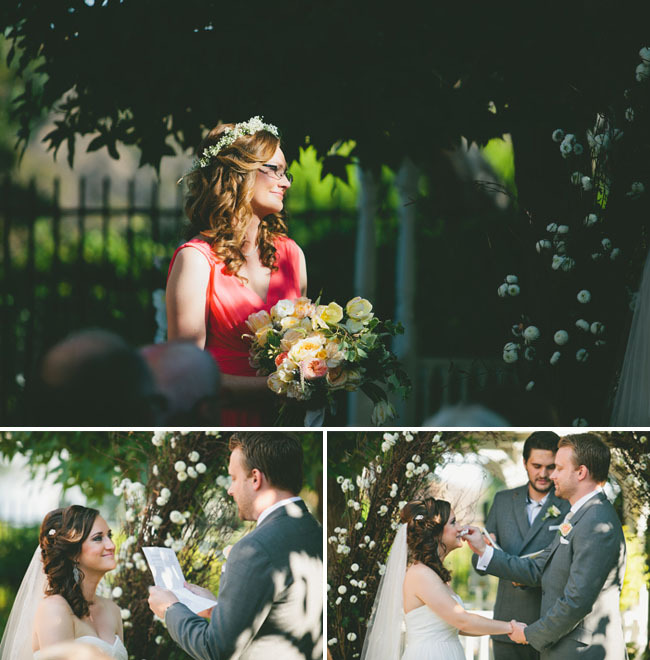 The mix and match of colours from the flowers to the bridesmaids’ dresses looked gorgeous! Best wishes to the happy couple.. Check out elliotclaire.com for wedding dress inspirations.. 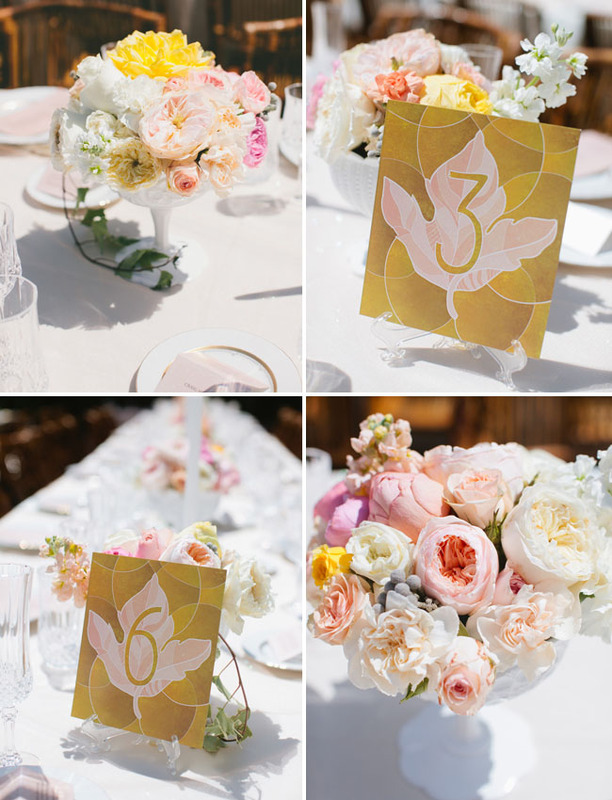 Exquisite table settings – love the table numbers. Those table settings are awesome. great job! 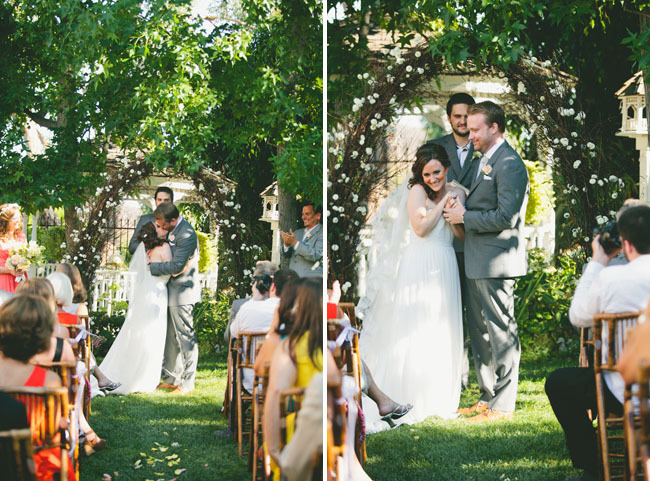 Amazing pictures,and decoration the couple looks lovely.